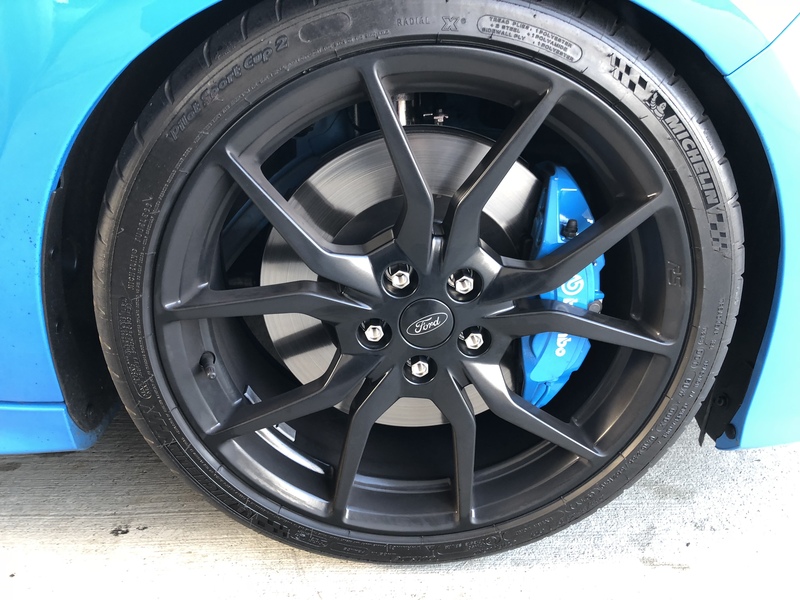 OEM Forged (thank you @big jim ) with Muteki SR35's in blue. Not a perfect match to NB but close enough for my liking. I thought really hard about buying these but eventually shied away due to concerns about longevity. I'm really curious to see how they wear for you. I just replaced mine this weekend because of this. Couldn't get a socket over two of the lug nuts. why? can you shine some light on this for me? I thought nuts are nuts and only differ aesthetically. OEM ones don't look great but I keep using them because I like the idea of locking lug nuts. crepr12 and ToucanLife like this. I was very hesitant as well.. One slipped out of my hand and fell about 2in to the ground and had a chip it (luckily not on the visible part). I will only be flipping back and forth twice a year so hopefully they will last a few years. Does anybody know if these small diameter gorilla lugs will work with our stock forged wheels? I have a set and have been using them for my winter wheels for two seasons. The reason I haven’t used them for the forged wheels is that while the conical seat angle is the same as the stock nuts, the diameter is much smaller so I didn’t know if they would hold as well. I have now broken so many of the stock lugs that I will either buy a new set to replace them, or even better use these gorilla ones for both wheels if that works. The OEM has a chrome "sleeve" that shifts overtime. The sleeve is soft and does not hold shape when using an impact driver overtime. This is a problem with most Ford cars. Two of our CMax had the exact same issue. 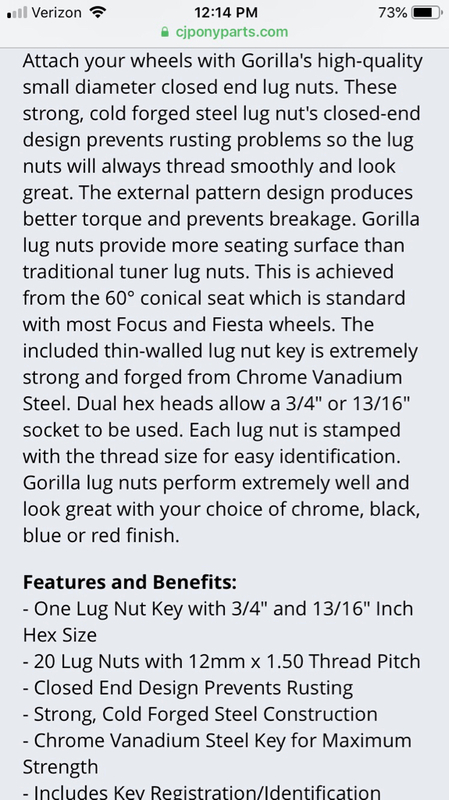 Thanks for the input, looks like I'll be getting new lug nuts at some point. What about the OEM locking ones? Are those good or do they also need to be changed? Where did you purchase these? 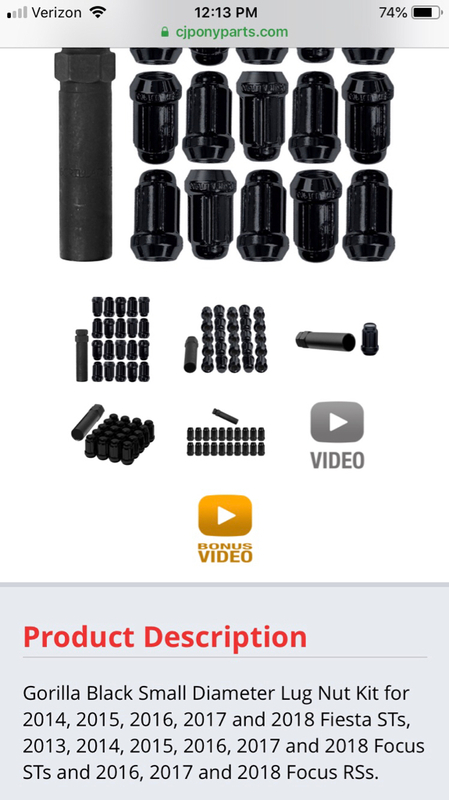 Vivid Racing | Lugnuts! Get Your Lug Nuts Here! Muteki Lug Nuts!